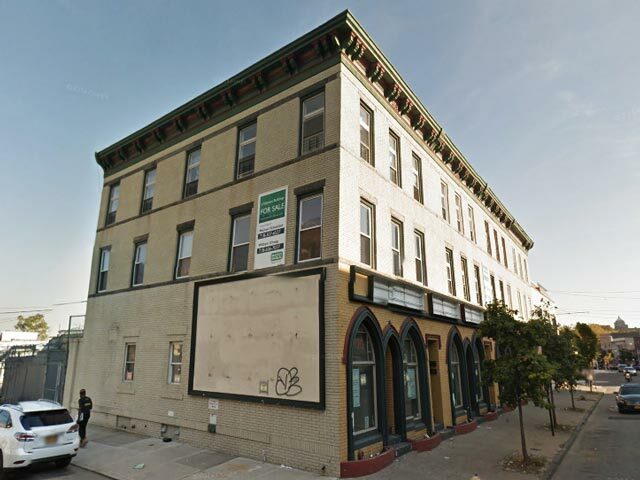 Permits were recently filed for a 67-unit apartment building at 533 Bay Street in Stapleton, on Staten Island. Today, we’ve got a rendering, courtesy of Arker Companies, which is developing; Aufgang is the architect. As noted previously, the apartments will span nearly 60,000 square feet . 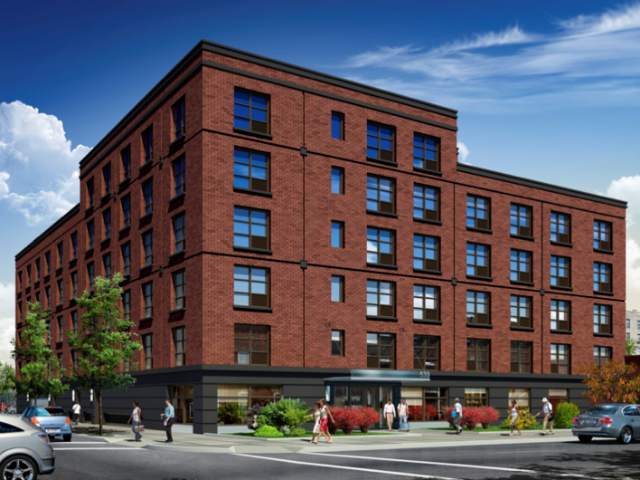 The funds are available through the New York State Homes & Community Renewal (HCR)’s Unified Funding Application, a single-source process to apply for several funding streams for affordable, multifamily developments. In total, during the Unified Funding process, HCR is making awards to 37 separate projects in each of the state’s ten economic development regions. The site sits on one of just a handful of blocks on the entire island where zoning allows true multifamily development, making it an exceedingly rare new apartment building in New York City’s most suburban borough. If Assemblyman Matthew Titone is, as he claims to the Advance, “a staunch advocate for addressing the need for more affordable housing on the North Shore,” he and Councilwoman Deborah Rose will need to ask the Department of City Planning to zone for more multifamily development. Affordable housing, after all, cannot be built in any appreciable quantity in the very low density R3 zones that blanket even the island’s most transit-accessible neighborhoods. While no completion date for 533 Bay Street has been announced, construction is likely imminent, and demolition of existing structures was approved last August..
7 Comments on "Revealed: 533 Bay Street Senior Housing"
When will the applications be available for rental? Melissa I call them 2 times and they said now yet. Thank you. Can you please contact me when they do? Can you provide me with the name of the management and telephone number? I would like a time line of when the applications will be ready. Thank you in advance. Please notify me when I can apply/submit an application for an apartment at 533 Bay Street Senior Housing. I am a senior seeking Senior Housing. When will I be able to fill out an application for 533 Bay street, Staten Island. please advise. thanks.